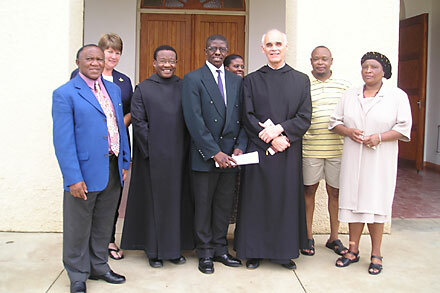 The team of volunteers, “biblia zuluensis – iBhaybheli ngesiZulu”, working since 1996 on a new translation of the bible into isiZulu is holding its 16th Annual Workshop at the School of Religion and Theology of the University of KwaZulu-Natal, Pietermaritzburg, from the 7th to the 9th of September, 2012. 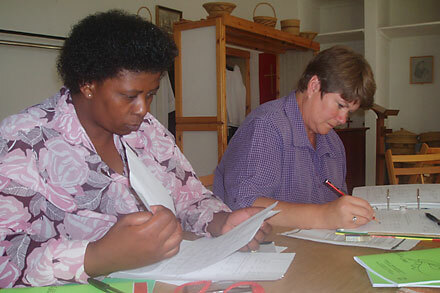 Since 1996 the Team of Volunteers, “biblia zuluensis”, consisting of up to 15 men and women from different parts of the country is working on translating for the first time directly into their mother-tongue isiZulu the books of the Hebrew bible (the “Old Testament”). The new bible aims at availing the contents of the scriptures in good and understandable present-day language and ultimately replacing the “translation of a translation” presently used as “Zulu Bible”. The Team of Volunteers is inter-denominational and seeks the support of all Churches, individuals and institutions concerned. Most of those presently involved live in KwaZulu-Natal, Mpumalanga, Gauteng and the Eastern Cape. 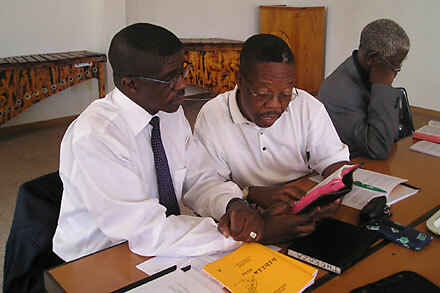 Workshops for learning and revising the theory and techniques of bible-translation as well as seminars for exchange of experiences and opinions take place regularly. Up to a thousand copies of the booklet “zimnandi ngokuphindwa” (“tell the old, old story over and over again!”) containing a selection from our work are distributed every year among interested readers in schools, congregations and generally canvassing for comments and encouraging constructive criticism – with gladly such as much response each time. Members of the association of isiZulu authors and writers count amongst our most invaluable advisers and active supporters. Young and old far beyond that part of Africa in which isiZulu is spoken and understood today, will for generations to come hopefully continue employing – in familiar language and good literature – constructive patterns of thought and ethics contained in that book to build bridges and maintain peace.